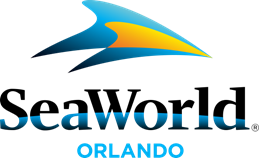 ORLANDO, Fla. (July 25, 2018) – Starting today, SeaWorld Orlando will be offering special discounts on select products to visit this summer, including admission offers for SeaWorld Orlando and Discovery Cove. The park is also offering special savings on Christmas products for the park’s annual Christmas Celebration event. From reservations to unforgettable park experiences, guests can take advantage of limited-time pricing and save big with these exclusive online offers.